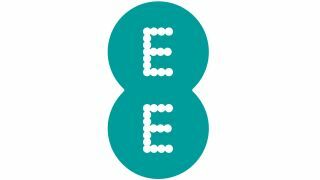 EE is the latest high street retailer with bad news, as it's to close 78 stores. The good news is that it's not making anyone redundant. The Orange and T-Mobile stores were only rebranded as EE three months ago, but now a batch of them are to go. EE says it made its decision based on how many customers each store has, when a lease is coming to an end, and how close other EE stores are. Employees will move to the nearest stores. There's a silver lining to this cloud, too. EE will actually open four new stores in new locations, so these closures aren't necessarily a harbinger of doom. More an inevitable bit of admin, considering how many EE stores are right near each other, seeing as they were formerly T-Mobile and Orange shops. Maybe EE's claim it won't cut any jobs should be taken with a pinch of salt, though. A lot of people will be employed in the 78 stores, so it'll be no mean feat to redeploy them all without overcrowding the remaining branches. EE also said it wouldn't close any shops when it rebranded the Orange and T-Mobile ones. So let's wait and see how this turns out. AT&T is said to be mulling a takeover of EE. HMV, Jessops and Blockbuster have all called in the administrators recently.